Registering more than 100 wins during a college tennis career is generally enough to earn some attention. Mixing that with an unprecedented impact on children’s lives takes that attention to a new level. 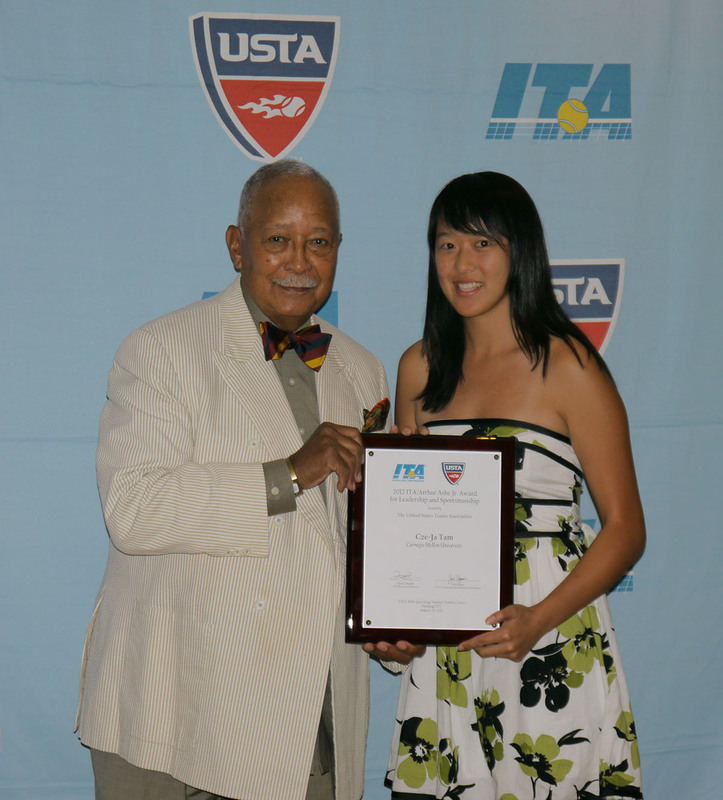 Cze-Ja Tam, a senior this past season at Carnegie Mellon University, was recognized by the Intercollegiate Tennis Association (ITA) with a 2012 Arthur Ashe Jr. National Leadership and Sportsmanship Award at the ITA Awards Luncheon on Aug. 25. The awards ceremony, hosted by the USTA at the USTA Billie Jean King National Tennis Center, recognized players who excelled on and off the court during their college careers. Sportsmanship, leadership and character are also important criteria for the award, which dates back to 1984. Tam certainly earned her award. Greatly touched by a visit to Kenya, she began a non-profit organization called Showers of Grace, which provides school supplies for children in Africa and China. To date, Tam has helped raise more than $100,000, organizing fundraisers ranging from bake sales to car washes. She has also made mission trips to Kenya and Mongolia, teaching English and bible stories to orphans. Tam volunteers at the Pittsburgh Children’s Hospital. Last year, her coach called her the most unselfish player he has ever seen. More info on Tam and Carnegie Mellon Tennis can be found here.